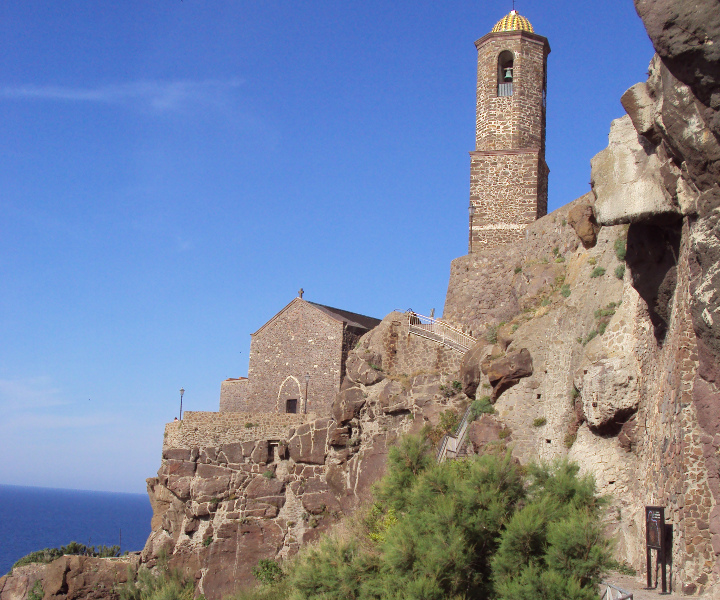 This month our journey reaches Castelsardo, a village in northern Sardinia with an ancient history, one of the most beautiful villages in Italy. 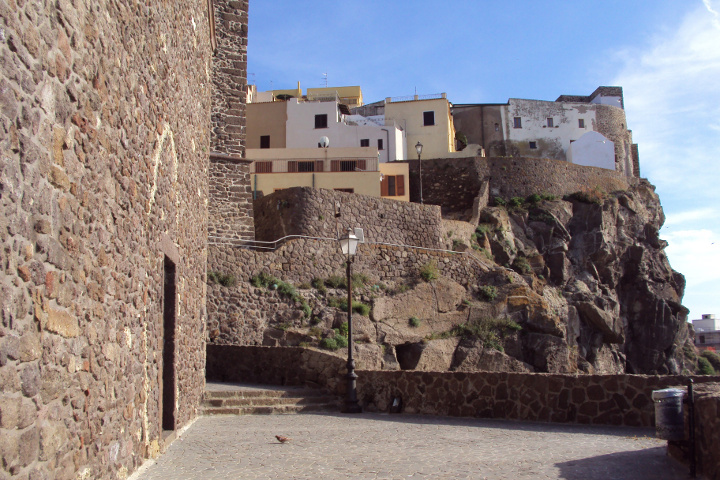 Its impressive medieval castle overlooks the Gulf of Asinara, from the top of a steep rocky cliff. 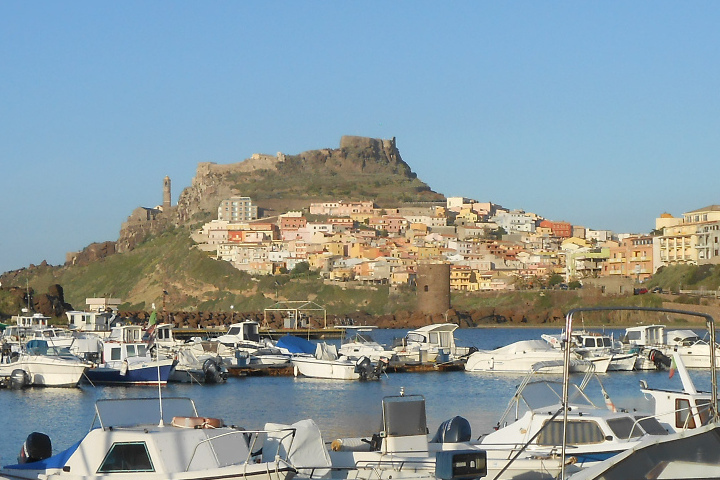 Castelsardo deserves a visit not only as a seaside resort, but also for the breathtaking views from above the village and for the importance of its monuments, including the medieval castle founded by the Doria family (now the home of the Mediterranean Weaving Museum), the wall surrounding the fortress and the historic core, the beautiful cathedral of St. Anthony Abbot. 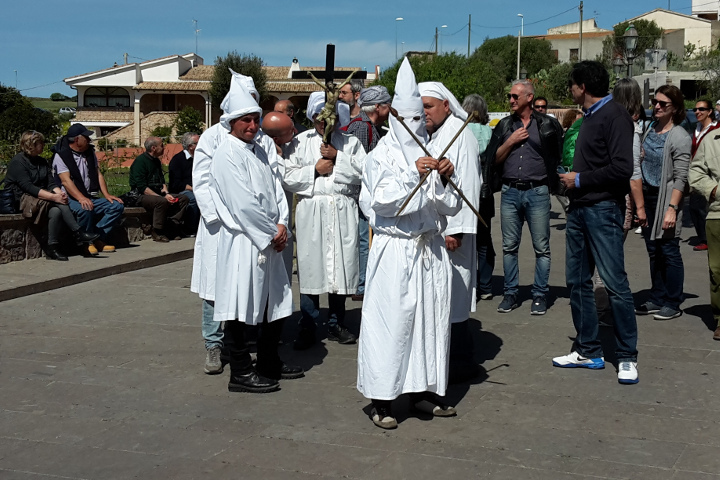 Castelsardo is often the scene of social events, including New Year’s Eve and Easter concerts, and maintains its cultural and religious roots with characteristic ceremonies that originate from the medieval period and subsequently from the Pisan, Genoese and Spanish influences. 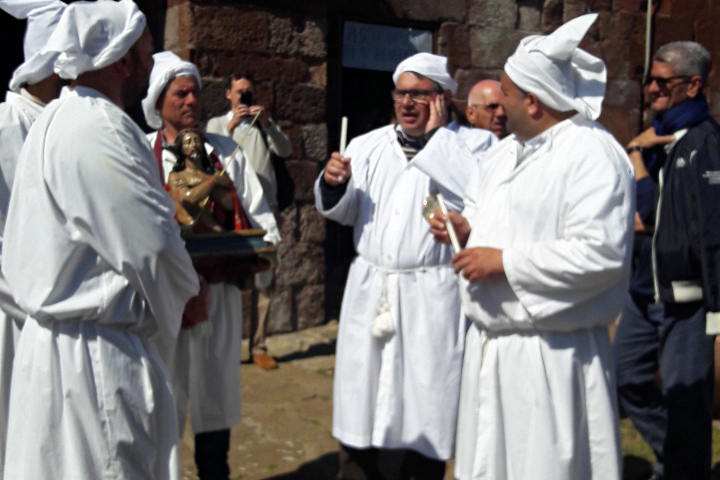 One of the most famous and ancient is the Lunissanti that takes place on Monday before Easter. 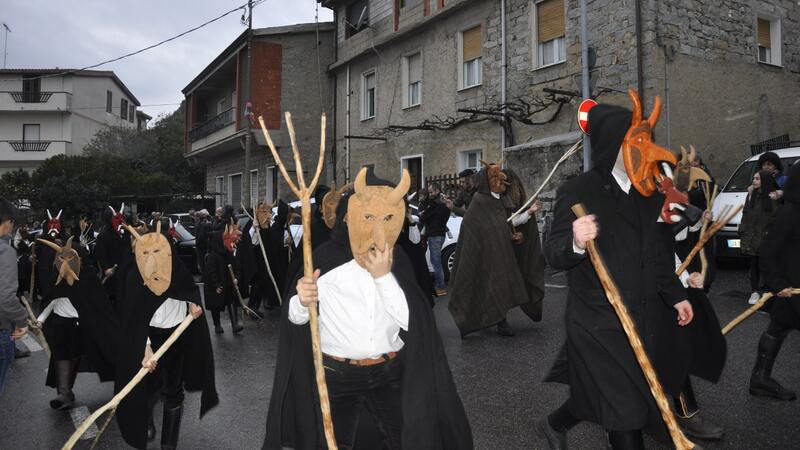 It’s at the same time a religious procession, run by the Brotherhood of the Holy Cross, a small pilgrimage and one of the most popular celebrations in town. 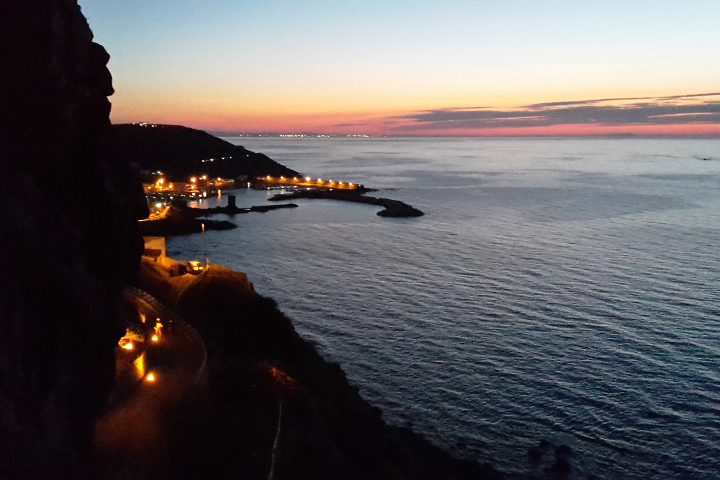 At dawn, people gather at Castelsardo for the Mass in the Chapel of Santa Maria, from which the procession begins, alternating songs and prayers and crossing the winding streets of the village and then the country roads, until reaching the monastery of Nostra Signora di Tergu. 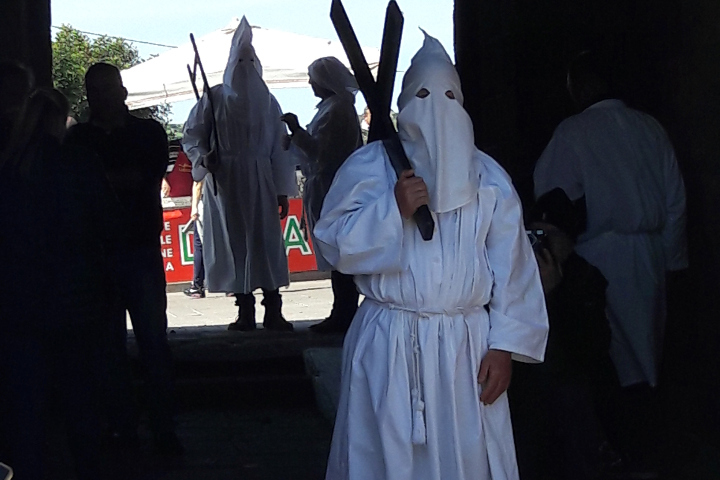 The protagonists are the “Apostles” and the “Cantors”, elected among the confreres, who wear long white tunics. 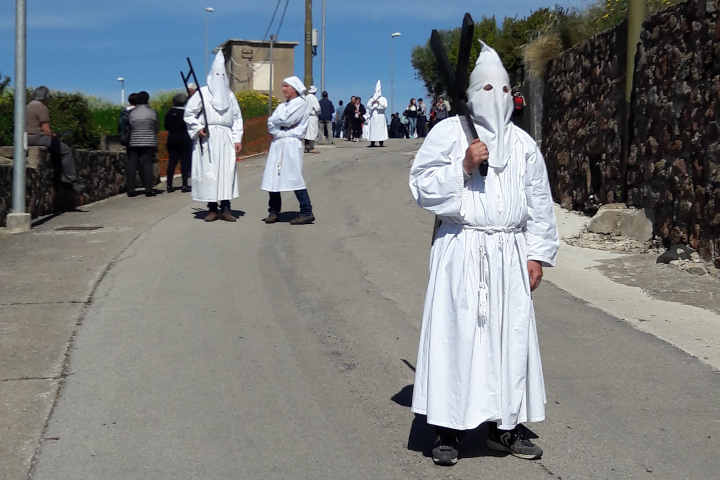 The Apostles have the task of exposing and bringing in the symbols of the Passion of Christ, the so-called “Mysteries”; they wear tunics and also carry a pointed white cap that completely masks the face. 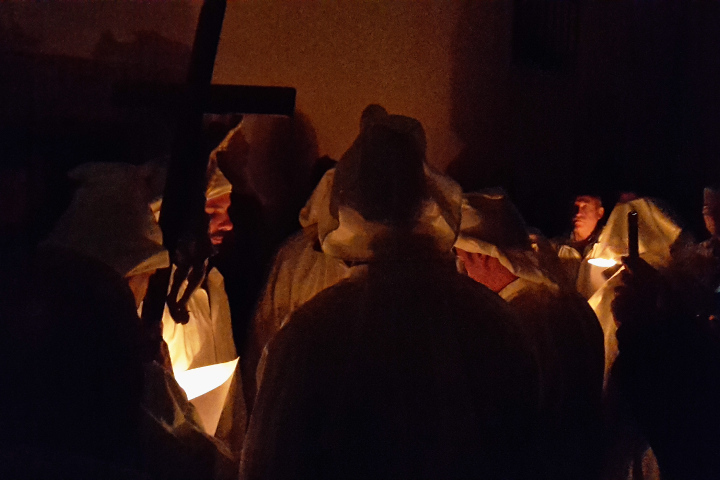 The Cantors perform suggestive songs of a pregregorian origin, including the Miserere, accompanying the parade of Mysteries ending in the Church of Tergu. After the religious celebration, people organize a picnic in the surrounding meadows and visit the stalls. 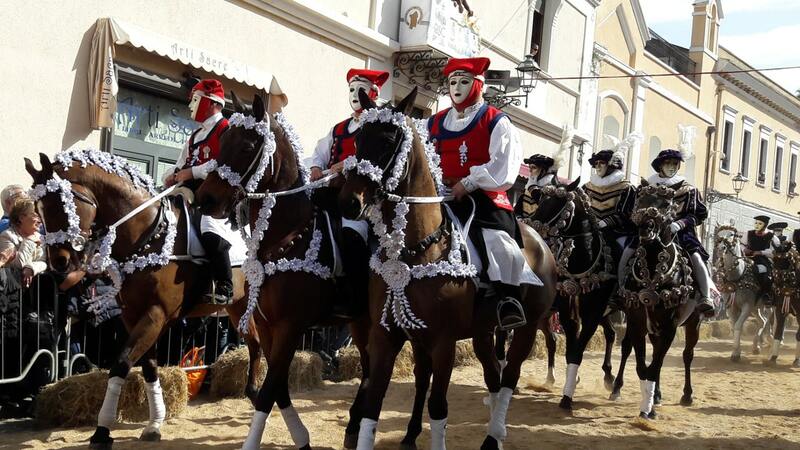 This year we found a wonderful day, both to observe the procession and its figurines, and for a subsequent walk in Tergu. 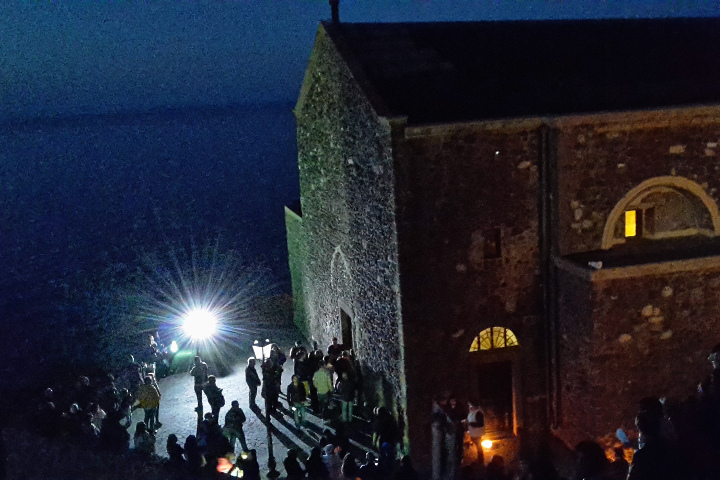 When the evening comes, the procession returns to the Cathedral of Castelsardo. 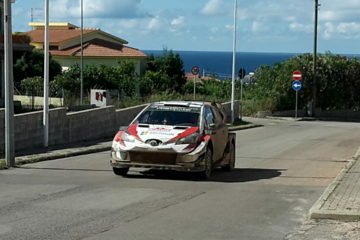 From here, at sunset, the confreres go out through the alleys of the old town; locals and tourists follow them, to the entrance of the church of Santa Maria. 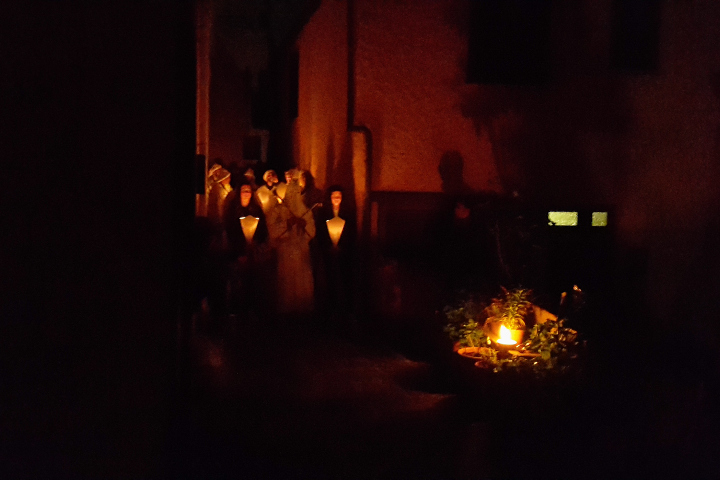 The procession of the morning is repeated, with Apostles and Cantors accompanied by some girls konwn as “Consorelle”. 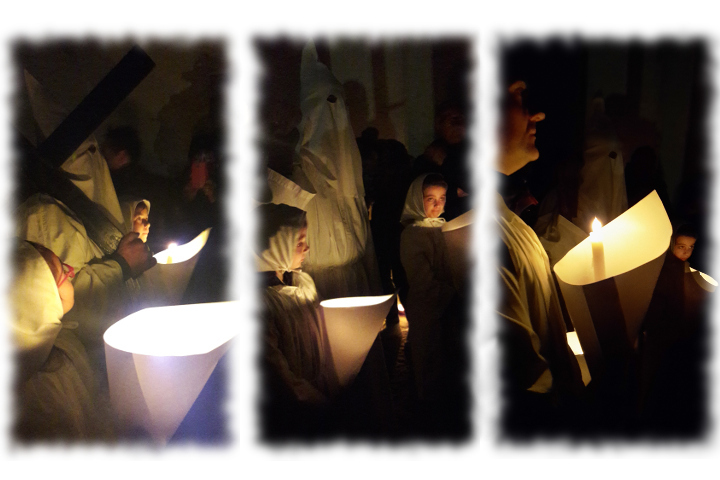 They wear a white tunic and a handkerchief on their heads and have to illuminate the path by carrying candles. 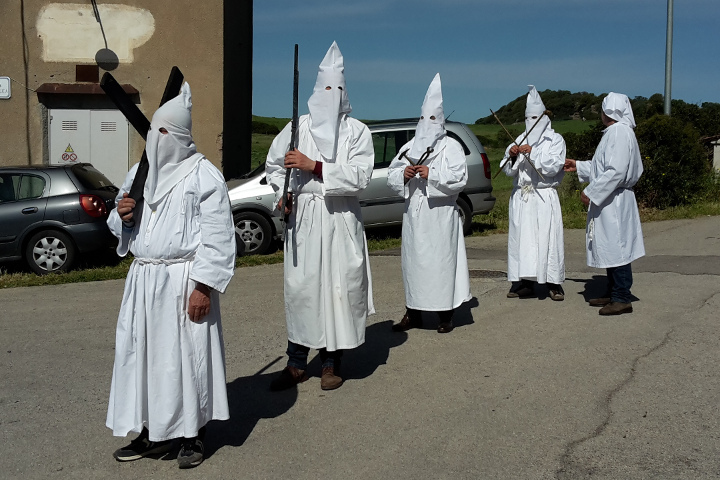 The long day of the Lunissanti ends late in the night with a last religious function; finally all mysteries arrives at the Church of Santa Maria and are exposed.